Company: Yunnan Dawei Ammonia Co., Ltd.
Yunnan Dawei Ammonia Co., Ltd. (YDAC) is located near a very large anthracite coal mine in China's Yunnan province. Through a series of coal gasification and air separation processes, YDAC synthesizes 500,000 tons of ammonia each year from the anthracite produced by this mine. These processes rely on the latest technologies to produce ammonia from coal, as opposed to the more commonly used natural gas or crude oil, and the combustion is emissions free. The coal gasification process uses technology that has been licensed from Shell. Ninety five percent of the anthracite is used in the gasification process, and any fly ash remaining after the coal passes through the plant's furnace can be used to make cement or bricks. The air separation process produces oxygen for the coal gasification process and the nitrogen needed to synthesize ammonia. The most important concern at this integrated plant is the stable operation of the coal gasification process: if there is any interruption in the supply of synthetic gas from this process, the ammonia plant has to be shut down. To ensure maximum efficiency in its ammonia production operations, YDAC turned to Yokogawa control technology. A project engineering team from Yokogawa China successfully installed a CENTUM CS 3000 production control system in the plant's central control room that allows YDAC's production management center in a separate location to monitor and manage all of this plant's production processes. The CS 3000 human interface stations (HIS) in this production management center are remotely connected to the central control room by means of a network of redundant fiber optic cables. Three engineering companies and three process licensors were involved in this project. To maintain consistency in the specifications for the CS 3000 production control system, the Yokogawa project engineering team compiled the information from the project participants and integrated that in the system. This approach to system configuration brought major benefits by ensuring a system that was easy to operate and whose hardware and software was easy to maintain. The control strategies for the coal gasification process are very complicated and it is difficult to fine tune burner, load, and coal-oxygen & steam-oxygen ratio control. However, with the CENTUM CS 3000's modulating control and sequence control functions, YDAC can now easily configure these items and safely operate the coal gasification process, without making mistakes. Start/stop operations can be executed using an easy-to-read graphic display. Once an operator selects "Start," the necessary instructions are sent to all plant equipment via the sequence control. All the status information along with guidance messages are displayed for operators on the graphic display. An online maintenance function allows control strategy to be modified at any time. This is especially important at start-up, when modifications are frequently necessary. This, together with the ability to download a new configuration, has greatly improved efficiency. The coal gasification process requires temperatures and pressures up to 1500°C and 40 bar, and significant damage can result if there is any shutdown of the production control system. Fortunately, the CENTUM CS 3000 is highly reliable, and its flawless performance in controlling the plant startup and shutdown sequences helps significantly reduce the total cost of ownership for the plant's facilities. 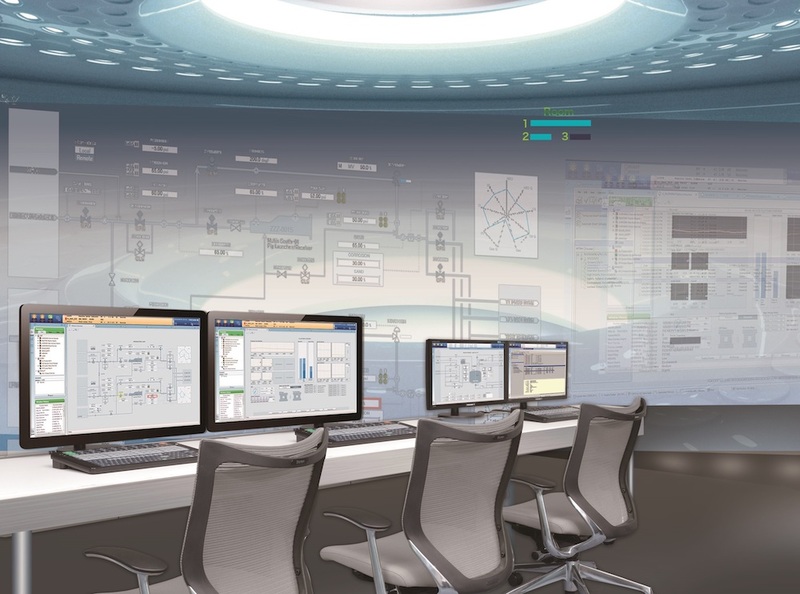 Liu Xin, Deputy General Manager for the Yunnan Group, said, "Yokogawa completely realized the control and monitoring of our integrated plant using the most current digital technology. We are very much satisfied with the high reliability of the CENTUM CS 3000 and with Yokogawa's capable project team." 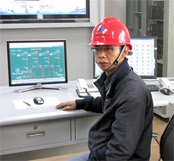 Chen Xuedong, Production Department Deputy Manager, said, "We are looking for continuous and stable operation of the coal gasification process, so we need Yokogawa's continual support and backup." 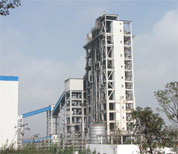 He added, "YDAC is one of the most successful coal gasification plants in China."